Th ere are many choices as to where consumers can take their car when it’s in need of maintenance or repair. Those include going to the car dealer, a department or chain-store franchise, or an independent mechanic at a service station. Where you should go depends on what type of repair your car needs and its age and condition. But in most cases, mechanics in each type of repair shop may try to convince you that they’re the best ones for the job. Work under warranty should go to the selling dealer, says Tracy Myers, owner of Frank Myers Auto Maxx in Winston-Salem, which provides consumer-protection advice to car buyers and owners. That’s where you’ll find trained mechanics who should know the car you’re driving and are trained to fix problems that pop up, he says. 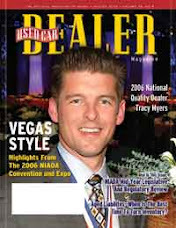 But because dealer overhead is high, expect to pay top dollar for repairs not covered under your warranty. Before leaving your car at an independent mechanic’s shop, find out if the mechanics are certified and if they’re getting training for repairs on new car models. Because most owners of new car models take them to the dealer for repair, it’s likely that an independent car shop will be more experienced in repairing older cars, he says. Because independents don’t have the high volume of a chain shop, they may be easier to establish a relationship with PLUS they are usually a lot less expensive. 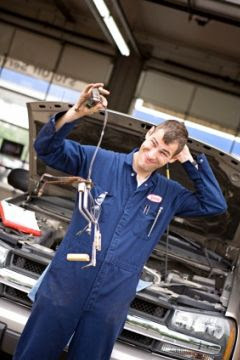 Chain and department-store shops often advertise free services for routine services like oil changes or tune-ups, but beware if their mechanic insists that your car needs major repairs after he inspects it. Get a second opinion to confirm it isn’t a ploy to get you to spend more money, he says. - Portions of this post taken from Smart Money.